What if I told you that if you spent about 5 minutes in the kitchen then you would have breakfast and snacks all week long that your whole family will LOVE!! Would you spend the 5 minutes?? 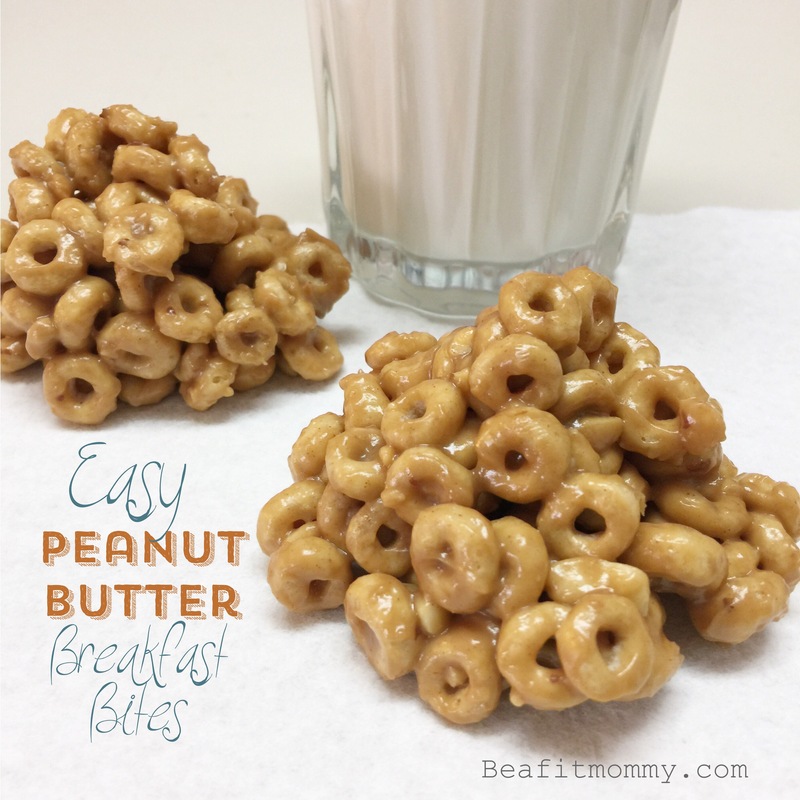 These Easy Peanut Butter Breakfast Bites are SO EASY to put together and the ingredients are guilt free! Measure out the Cheerios in a big bowl. Measure out peanut butter and melt it. Then add the honey and heat a little longer. Mix in the vanilla. Add Mixture to the Cheerios then spoon on a lightly greased cookie sheet. Then let the Easy Peanut Butter Breakfast Bites sit to harden for about 3 hours. Then pour yourself a big glass a milk and enjoy! In a medium large bowl, pour the Cheerios into the bowl. 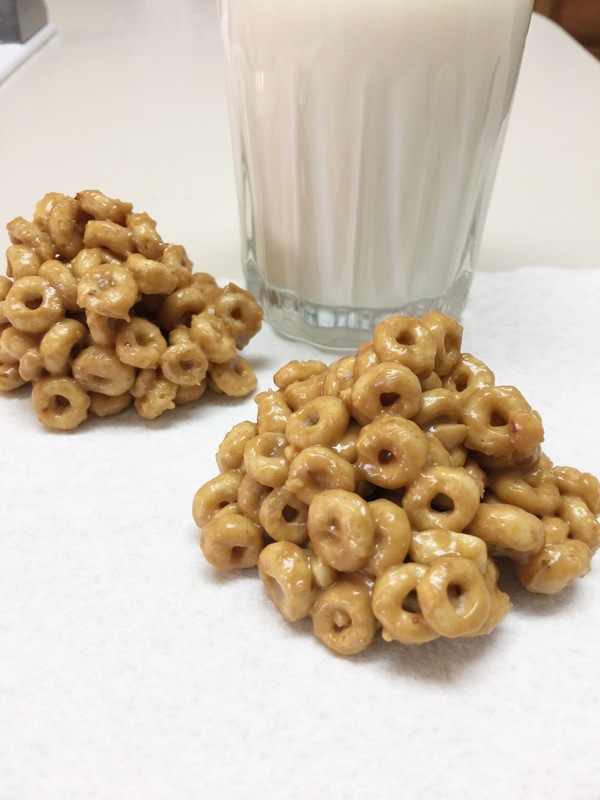 Pour the peanut butter mixture over the Cheerios and mix together well with a spoon until all the cereal pieces are coated. Looks good. I will have to try these! Thanks! I’m excited for you to try them! They are so good!